When problems occur with an air conditioner, it is very important to know when to call in the experts at an HVAC company like Palm Air AC. 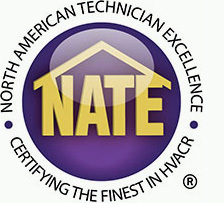 For your safety as well as comfort, serious problems with an air conditioning unit should be handled by a professional. If your air conditioner does any of these five things, you know it is time to call a professional. If you happen to come home to a hot house in the summer, it can be almost impossible to sleep in those conditions. Call an HVAC company as soon as you can to have them come out and fix your air conditioner. There are many causes for this dilemma so it’s better to call a professional. When you walk by your air conditioner and you happen to notice unusual moisture around it, call a professional AC company. This leak will most likely be one of these two things. First, it may be a refrigerant leak. If it is a refrigerant leak, your air conditioner will not be able to put out cool air. The other possible liquid is water leaking from the unit. This can mean that the AC drain line is clogged, which will lead to wet air filters and possibly mold. Air conditioners are meant to make some noise when in operation, but if you hear a strange sound happening often, call a professional to have it fixed. The noises could indicate that your unit has old parts and needs to be replaced. With a thermostat problem, you may find a multitude of problems occurring. Your air conditioner might not be turning on or off at the right time. Another problem that might hint to a broken thermostat is uneven temperatures throughout your house. The uneven temperatures could be a sign of a broken thermostat or bad ductwork in your house. A common cause for an uncommon odor is burnt out wire insulation. If the smell is musty, the cause may be mold inside of your ductwork which will need to be fixed as soon as possible. Either one of these causes warrants a professional visit to fix it. Palm Air AC wants you to have the cleanest and coolest air possible. Our professionals will diagnose and repair any air conditioner problem that you may have. 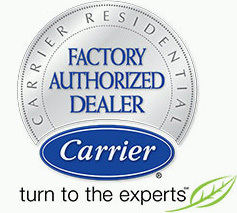 If you have any of the signs that your air conditioner needs service, contact us today or schedule a service online!